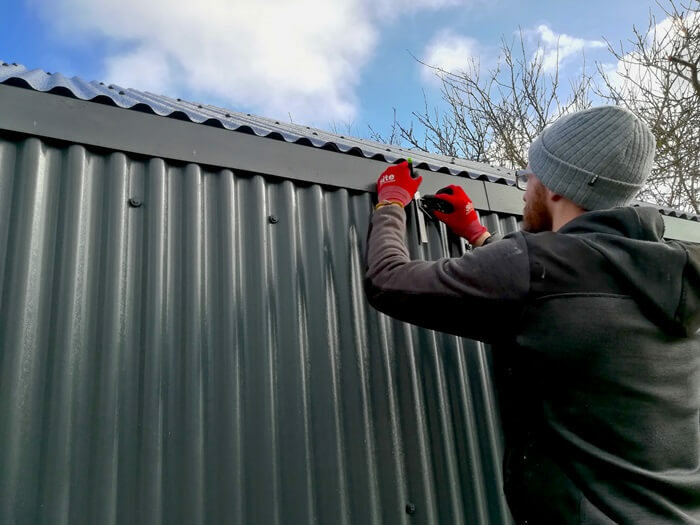 One of our favourite materials is the dark grey corrugated steel cladding (fondly nicknamed ‘wriggly tin’), which we use on our River Range MOSSpods and Glamping pods. It’s incredibly versatile: we use it on both walls and roofs because it of its protective, weatherproof and visually striking qualities. 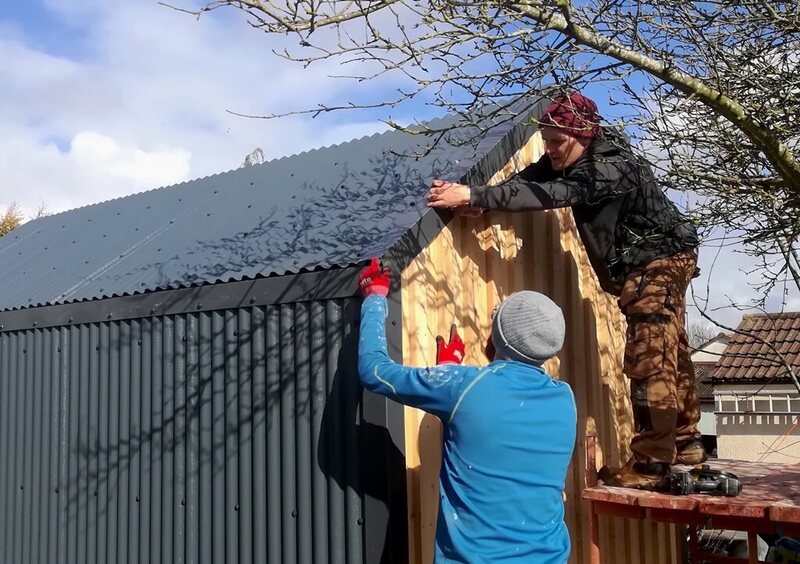 It’s extremely durable too, boasting a long, low-maintenance life; something to seriously consider when building a new garden room or glamping pod that you want to last for many many years. We love the contemporary design of the product as well, with its rhythmic, oscillating pattern and studded fixings. 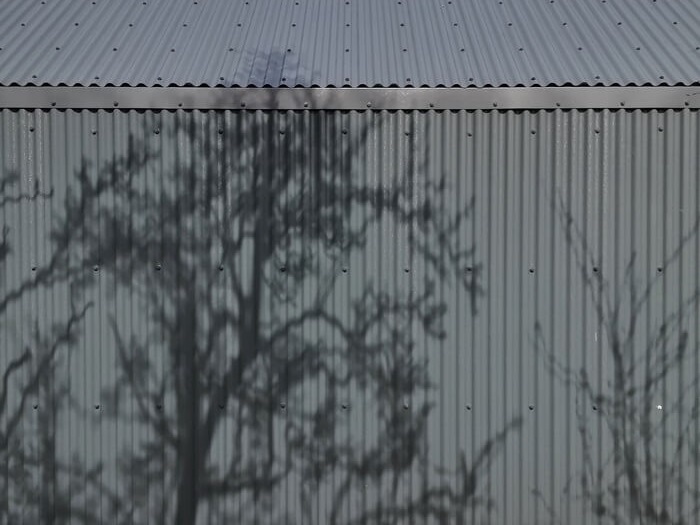 We love how it blends seamlessly into both rural and urban environments: the corrugated steel reflects the agricultural world, matching the design of many countryside barns. 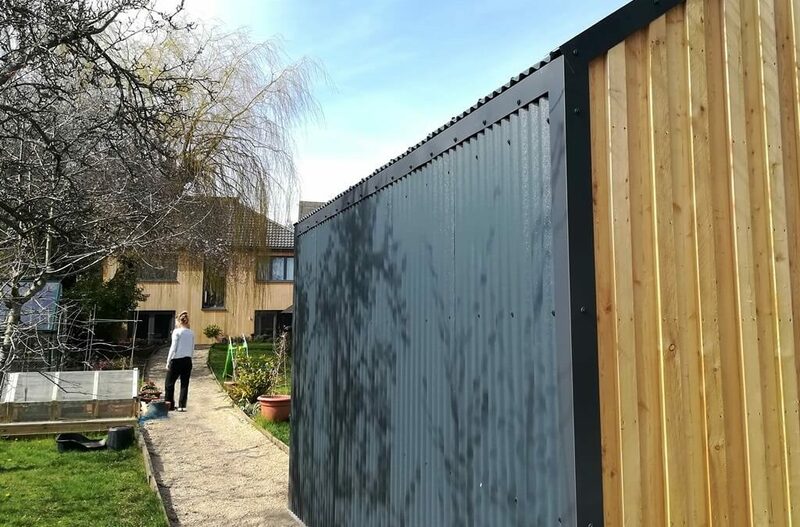 While in an urban setting, the crisp, streamlined metal resonates with favoured modern designs for clean, smooth lines, perfect for extensions or garden rooms in the city. It also comfortably sits next to older buildings, providing a unique, contrasting addition to more traditional architecture. Stylistically, the corrugated steel evokes Scandinavian and Nordic design. These countries have been using it as a staple material since time began (nearly) to create their chic, modern lines as they meld function and form. We have incorporated the simplicity and minimalism of Scandinavian and Nordic design into our River Range MOSSpods and Glamping pods because we want an un-cluttered, clean aesthetic. We keep our buildings simple, beautiful and honest, letting the natural materials and this stunning steel speak for themselves. What’s great is that this product also comes in a wealth of different colours, which can add varying depth and drama to building aesthetics to suit diverse tastes. Imagine a row of stylish glamping pods in a variety of natural colours, contrasted with alternative timber treatments such as burnt wood or silver Larch. We thought long and hard about our main colour choice, deciding on Anthracite Grey for the steel cladding. This stunning colour and its silky smooth texture contrasts beautifully with the soft, light grain of the slivering larch wood. However, the plain galvanised steel finish also has a gorgeous quality. It would look very striking to leave the steel exposed, creating a more rustic finish. We’re very particular about the materials and products we use. We invest in quality and durability over cheaper reproductions and we ensure the aesthetics of the product work harmoniously with every MOSSpod extension, garden room or glamping pod we design. Hi, please fill in the form to stay in touch and receive the first fab blog post!